MANY GREAT OPTIONS FOR CORPORATE EVENTS. 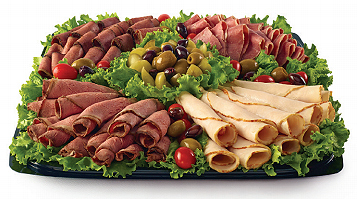 Mrs. B’s has plenty of platter options for corporate and business events. A convenient carrier filled with regular or decaf coffee. Served with creamers, assorted sweeteners, and stirrers. Where available. Bite-size pieces of honeydew, cantaloupe, and pineapple, plus strawberries and grapes. Our breakfast bundles are designed to provide time and money-saving solutions for breakfast or brunch. Assorted Bagel Platter with Cream Cheese, medium Sliced Fruit Platter and Java Box. 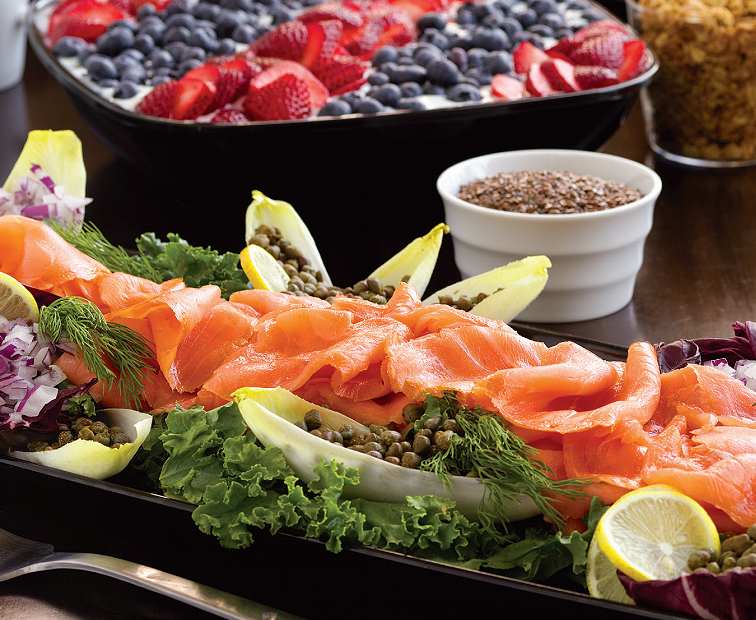 Assorted Bagel Platter, large Signature Smoked Salmon platter, Superfoods Breafkast Bowl and Java Box. Minimum of 10 box lunches per order, with up to 3 sandwich options. Choose from one of our artisan sandwiches. Includes Black Bear® macaroni salad, fruit salad and gourmet cookie. 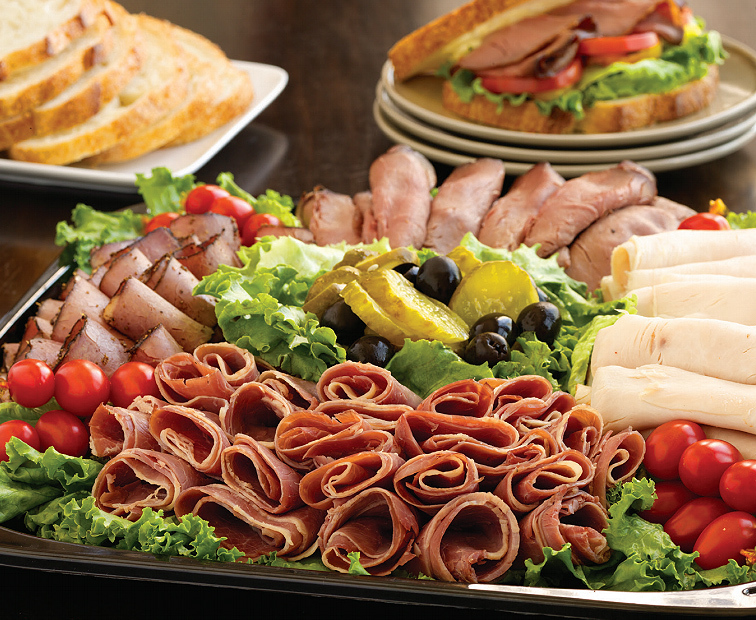 We feature our premium Black Bear® meats and cheeses on all of our sandwiches and deli platters. All are minimally processed and contain no MSG. Sandwich Bundles include sandwich platter, SRK Signature Salad and SRK Farro & Red Rice Salad. Assorted New York Deli, California style, tuna and chicken salad wraps. Select up to 3 varieties of artisan sandwiches. Mini tart shells filled with cannoli cream, chocolate mousse dipped in dark chocolate or white chocolate. Mini tart shells filled with pastry cream, topped with fresh fruit and an apricot glaze. Sliced and arranged honeydew, cantaloupe, pineapple, berries, grapes and kiwi. Cautions voiced the director of education policy studies at the american online essay writer enterprise institute, frederick m.